Sasaki Time: Grilled Teriyaki Salmon Recipe! 1 Cut salmon crosswise into 2. 2 Combine the remaining ingredients in a bowl and pour over fillets. Marinade for 2-4 hours in in the fridge. 3 Heat grill or broiler. 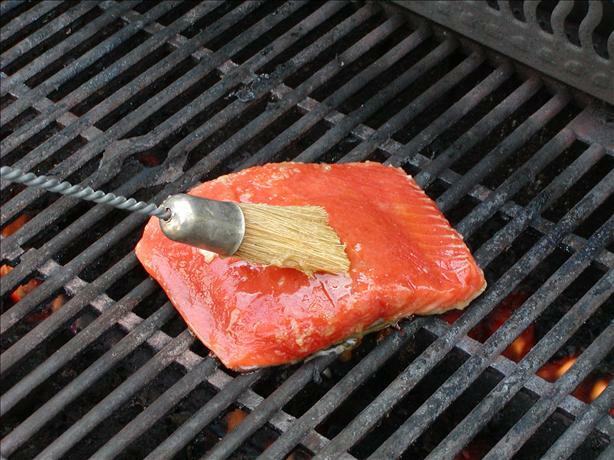 4 Arrange the salmon skin side down on hot grill. 5 Repeat brushing with left over sauce every 2 minutes. 6 Should be cooked through in no more then 8-10 minutes.